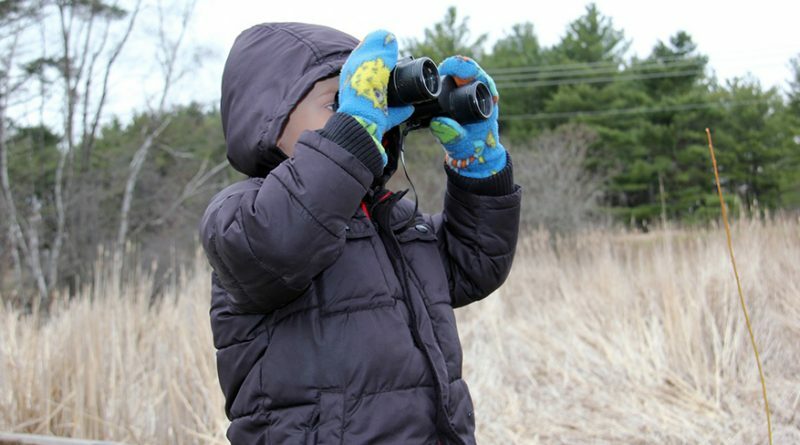 Children ages 5-13, along with their families, will enjoy the art of birdwatching as part of a new series of programs at the University of Wisconsin-Stevens Point’s Schmeeckle Reserve. Junior Audubon bird programs will be offered select Saturday mornings from 9-11 a.m., taught by birding experts from the Aldo Leopold Audubon Society. All will begin at the reserve’s Visitor Center, 2419 North Point Dr., Stevens Point. All programs are free and open to the public. Each program will feature themed activities and crafts, with information on basic birding, identification techniques, feeders, and birdhouses. Binoculars and ID books will be available to borrow during a guided family-friendly birding hike on the reserve’s trails. Free coffee, cocoa, juice, and snacks will be provided. Registration is not required. Young children must attend with a parent or guardian, and all ages are welcome. Dress for the weather. Located on the north end of the UW-Stevens Point campus, Schmeeckle Reserve is a 280-acre conservancy area with five miles of trails and boardwalks, a 24-acre lake and a Visitors Center with hands-on exhibits, Browse Shop and the Wisconsin Conservation Hall of Fame. Most programs are in an accessible location. For more information, call 715-346-4992 or go to www.uwsp.edu/cnr/schmeeckle or on Facebook @schmeecklereserve.